Create your own balance and co-ordination course with different gradients and paths using our unique Toddler Playset components – creating an adventurous and stimulating play area for young children. Elements can be used as part of a set (connectors included) or individually. There are 14 elements in the complete set – or simply make your own set with your choice of individual elements. 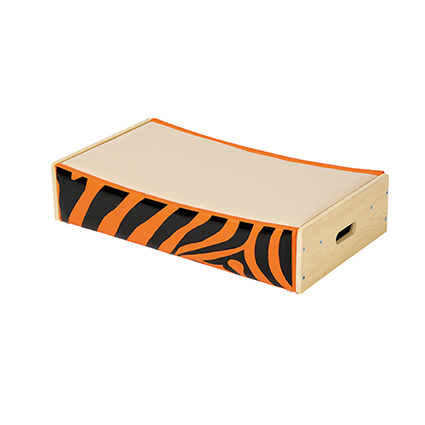 Encourages body awareness and movement competence as children develop the ability to move with control, precision and clarity. Manufactured from a combination of polywood and PVC leather and foam (polywood is a tough wood like material made from recycled plastic). Children will learn to recognise concave shapes with this attractive pathway.